Missed call alert is very important in today's fast moving life. Most peoples switch Off their Mobile phones during meetings or during night periods. So they need an Missed call alert service that is also known as MCA which keep sending them messages of the persons who called them when their mobile phone was switched off or out of network coverage. Some Mobile carriers like Tata Docomo offers Free Missed call alert service for free to all its customers. On the other side some carriers charges their customers for Activating Missed call alerts service. One of them is Airtel. If you are one of Airtel customers then don't worry. 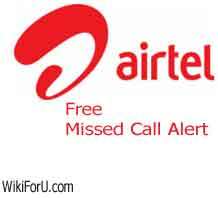 Now there is a trick to get missed call alert for free on your Mobile phone with airtel. This trick is working for most users, It may work for you also. So try it and tell us your experience via comments. On your Mobile phone, Goto Main Menu. Select Settings-> Now goto Call Settings. Now select Call Divert-> Choose Divert If out of Reach. Now activate it for Voice calls. Now go back and choose divert if If Busy. Activate it again for voice calls as we did in 4th step.